At Silver Star Ski & Sport, we offer high performance and demo ski packages. We carry Rossignol, Dynastar, Volkl, Nordica, Blizzard, and Head. All of our demo equipment for the current season is brand new!!! You may find cheaper rates but you generally get what you pay for! Call us for specific models and availability. See bottom of the page for a sample list of the package description. You are coming all this way, don’t settle for less! Book online in advance and save!! CLICK HERE to Reserve your gear!! Packages come with skis, boots and poles. All Rates are per day. Additional days are same price. Skis come with poles. All Rates are per day. Additional days are same price. If you can't make it back to the shop, let us know and we will pick up the gear at your accommodations. We are right next to the lift! Why would you rent anywhere else? We'll get you set up on the slopes as quickly as we can! Some of our Telemark demos. What is Telemarking? It is a style of skiing where the biding allows your heels to come off the ski. Hands on service to ensure quality fitting and you get the right equipment for your needs. Adult Demo Packages: Best for anyone looking for the latest and greatest regardless of ability. Better skiers definitely should go here. This package includes ladies specific skis, GS carvers, powder skis, twin tips and the actual skis can be traded throughout the rental so the skier can try as many as they want! Skis: As mentioned above, we carry Rossignol, Dynastar, Volkl, Nordica, Blizzard and Head and have a wide variety of models that are all current 2017/18 skis. Call us if you are looking for a specific model…we probably have it! Adult High Performance Package: Best for beginners, intermediates, advanced intermediate and those trying to ball on a budget. This is our High Performance rental ski. 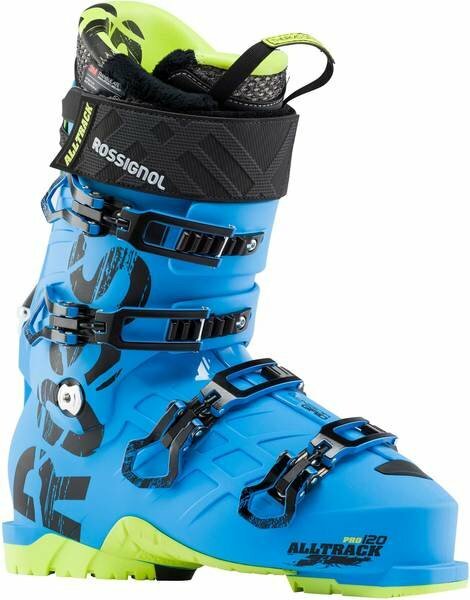 New this year, the Rossignol Experience HD 84 is a great ski for all abilities and most conditions on the mountain. Junior Performance Package: Kids are people too and deserve good equipment! Best for beginners, intermediates, advanced skiers. Junior package is determined by size of the kid, not the age. 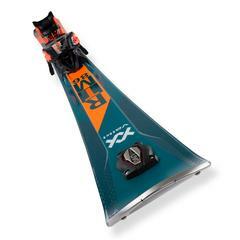 The junior skis this year are the EXP Pro and are avaialble in sizes 70, 80, 92, 104, 110, 116, 122, 128 and 140 cm. A Damage waiver is available and is additional to the cost of all rentals. Damage waiver protects the renter from any liability connected to damage to the equipment beyond normal wear and tear (i.e. Base damage, broken poles or skis). It does not, however, protect the renter in the event of loss, theft or negligence. You can choose to decline the insurance upon rental pickup. Protect yourself and your vacation happiness… never leave equipment unattended. We recommend you take advantage of complimentary ski checks, whenever you are having lunch or just taking a break from the slopes. All rental rates are subject to change without notice. First come, first serve on rentals and demos. To assure we have rental skis, snowboards or demo equipment available for your stay, fill out and submit the online reservation form. CLICK HERE To reserve your gear!